Update graphics drivers to get the best possible experience! 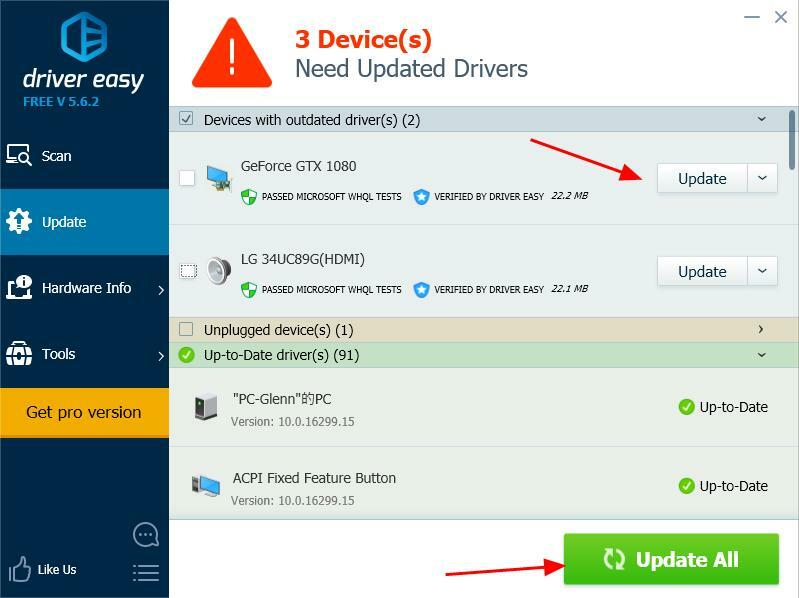 Updating your graphics card driver is a good method to improve the computer performance, and it’s important to choose the right and latest driver for your graphics card. This guideline introduces three easy methods to update graphics card driver. Here are the ways you can try to. You don’t need to try them all; just work your way down the list until you find the way that works for you. Note: All the screenshots below come from Windows 10, but the fixes work well on Windows 8/7/XP/Vista. The graphics card driver is vital for your Windows system to communicate properly with your graphics card. The missing or outdated video card drivers can cause issues, such as crashing issue or blue screen issue. Updating your drivers can prevent these problems and help your graphics card work again. In addition, graphics card manufacturers keep releasing the new graphics drivers to improve the performance, especially for new games. So you should keep your graphics driver up to date in order to enjoy the best possible gaming experience. 3) Wait for a few seconds for the app to load the information. 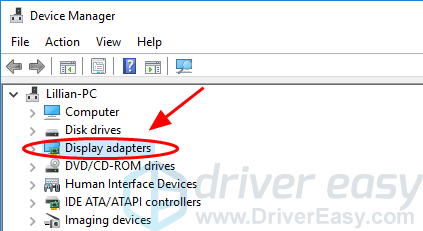 4) Click the Display tab, and you can see the display adapter information, including the driver name, manufacturer and version. 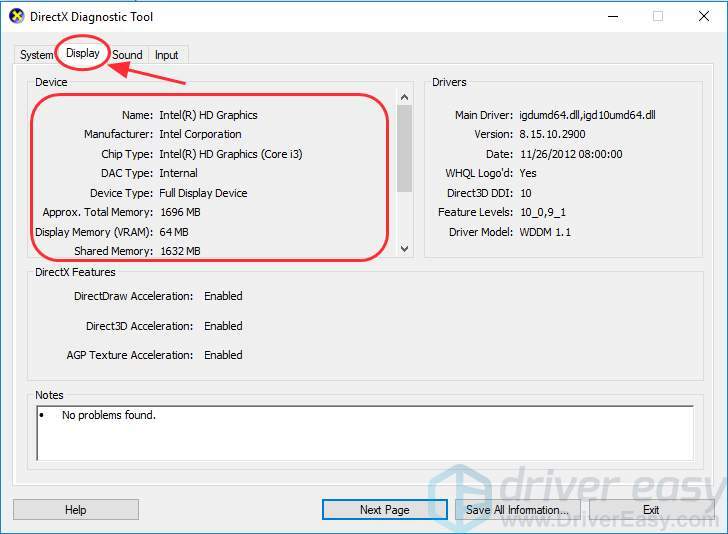 You can also check more details about How to Check Graphics Card in Windows. 3) In Device Manager, double click Display adapters to expand it. 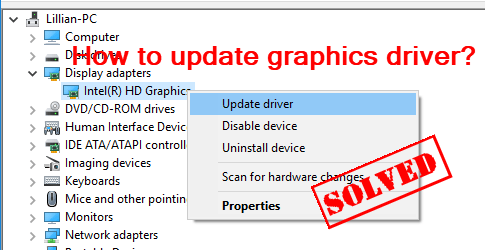 4) Right click your graphics card device, and select Update driver. 6) Wait for it to search online for drivers. 7) Once the graphic driver is installed, you will be asked to restart your PC. Close the window and restart your computer. 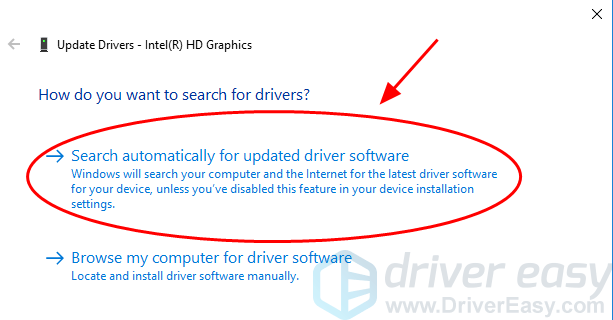 As the manufacturers release the new drivers, you can manually download and update the latest graphics driver from the manufacturers’ websites. Before updating the video adapter driver, you should know clearly the model and its manufacturer. 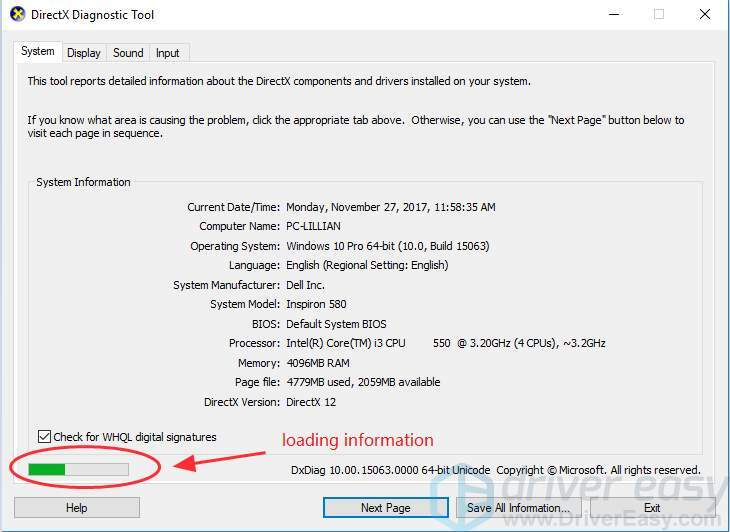 If you don’t know, you can check this article for more details: How to Check Graphics Card in Windows. 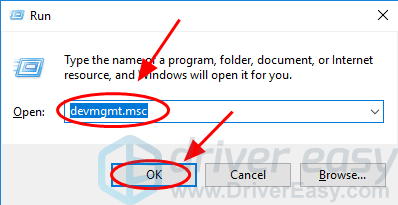 When you search for the correct driver, you should go to the manufacturer’s official website to make sure the driver source is safe and secure. For example, go to NVIDIA, Intel, AMD according to the different graphics card you have. Note: We recommend you not download the beta or pre-release versions for your driver, in order to protect your computer from crashing against unknown issues. Manually updating graphics driver requires time and computer skills. If you don’t have time or computer skills, you can try Method 3 to automatically update graphics drivers. 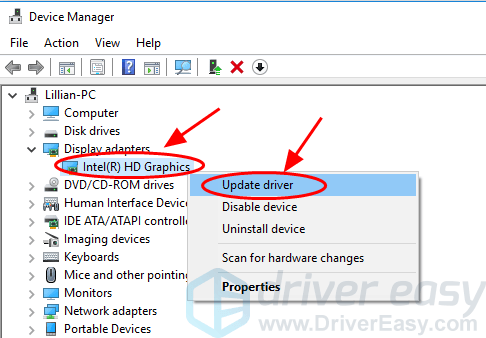 If you don’t have time or patience to manually update your graphics driver, you can update it automatically with Driver Easy. 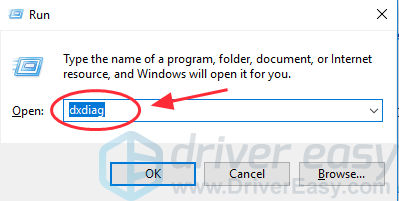 3) Click the Update button next to your graphics driver to automatically download and install the correct version of this driver (you can do this with the FREE version). 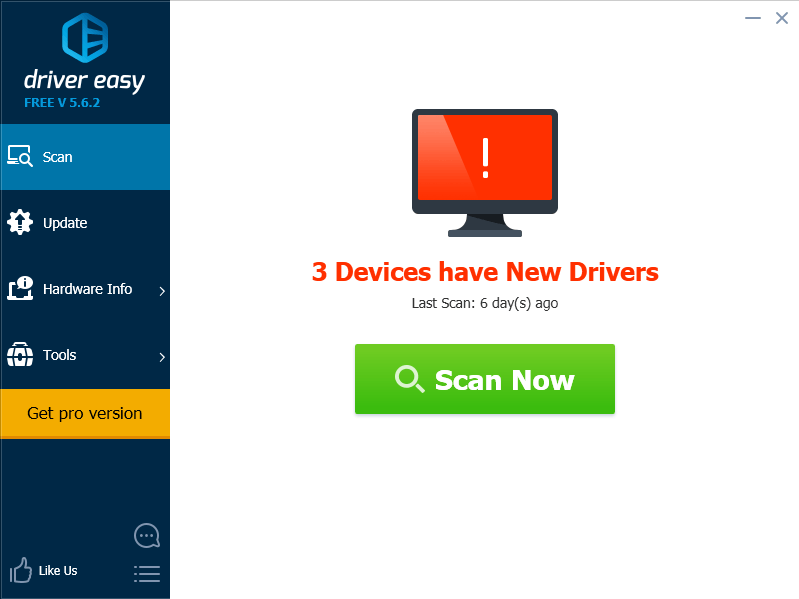 Note: You can also backup your drivers, or restore your drivers in your computer with Driver Easy, and it helps create restore point for you, which considerably saves your time. There you have it – three ways to update the graphics driver quickly and easily. If you have any questions or concerns, feel free to leave a comment below and we’ll see what more we can do to help.